Control Unit reconditioned: CU 5100 for MF/HF radio from Sailor / Thrane-Thrane 5000 series. 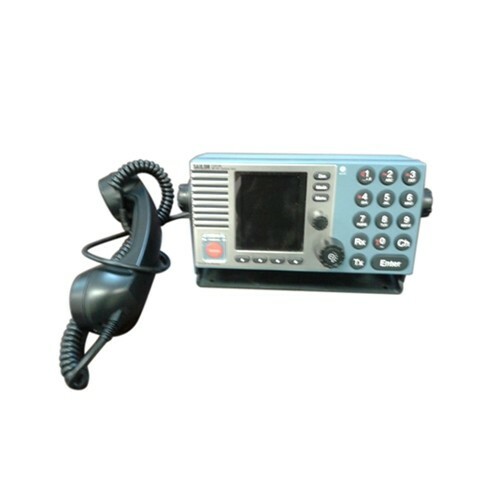 The CU-5100 for MF/HF has an integrated DSC (Digital Selective Calling) feature and can be considered the highest standard of marine communication equipment. The transceiver has a 2187,5 kHz DSC watch making it a very suitable solution for a MF GMDSS setup. This unit can be connected to a GPS or another type of similar marine navigation equipment, and by doing this, the actual UTC time and the ships location will be included in the DSC distress messaging. Furhtermore can this unit quite easily be extended to 6 channel DSC watch receiver and TELEX, thus making it eligible for compliance with MF/HF regulations for A3 vessels. The CU-5100 is on our stocks in Poland or Lithuania for shipment same day. We have also certified engineers for service on GMDSS equipment plus radio surveys under major ship registers. Please contact us for quotation for radio survey, gyro overhaul or APT on VDR. We help shipowners to operate the vessels efficiently.